While She Sleeps is back in action. The Sheffield outfit has announced the impending release of their fourth full length album, "So What?" due March 1st (pre-order here) following the streaming of a new single for the song "Anti-Social" last night at the BBC Radio 1 Rock Show. Furthermore the band has confirmed a European headlining tour for February 2019 with Stray From The Path and Landmvrks. 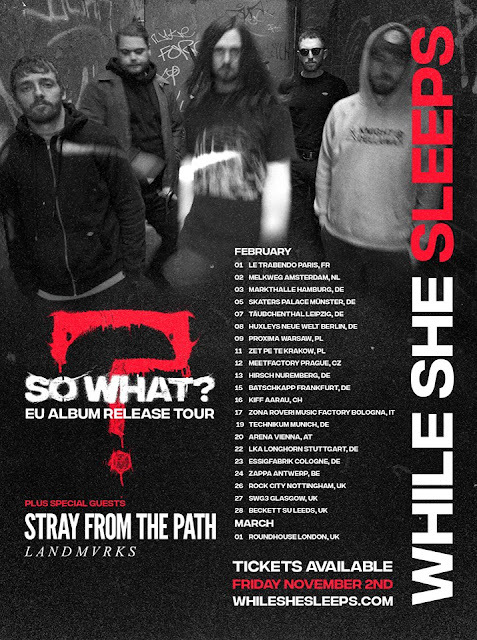 Tickets go on sale on Friday November 2nd at whileshesleeps.com.